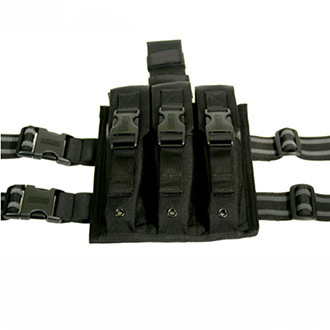 This holds three SMG magazines (HK 9mm MP-5) with two leg straps that are fully adjustable and removable for direct belt attachment. Made with Blackhawk's all new Nytaneon materials! Shipped to physical or APO/FPO addresses only.